Alcohol Action Ireland has said that the price of alcohol in Ireland “demonstrates the remarkable affordability of alcohol to everyday shoppers”. ALCOHOL IN IRELAND currently costs so little that a “fatal” amount of alcohol can be bought for €10, a new survey has suggested. In its latest alcohol market review and price survey, Alcohol Action Ireland (AAI) has said that the price of alcohol in Ireland “demonstrates the remarkable affordability of alcohol to everyday shoppers”. 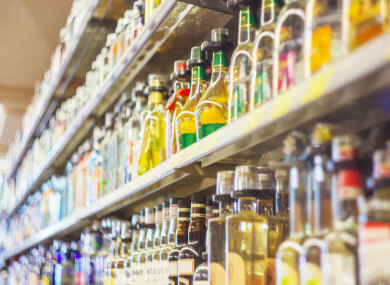 The report said that there is an urgent necessity to implement the Public Health Alcohol Bill, including minimum unit pricing to ensure the low-cost of the strongest, cheapest alcohol will be tackled. The survey also suggested that alcohol can be bought at a low-cost from not just major retail operators, but across all levels of retail. Conducted over seven days in July across four nationwide locations – two urban and two regional/rural centres – suggests that cider products remain the cheapest, strongest alcohol products available to the off-trade consumer. Beer products are the second cheapest just ahead of wine and spirit products such as gin and vodka. The HSE low-risk weekly guidelines on alcohol consumption for healthy adults aged 18 to 65 are currently 17 standard drinks for men and 11 standard drinks for women. The methodology deployed sought to establish the unit cost per standard which is set at 10g of pure alcohol in each product surveyed. So, for example, a 4.3% beer product in a 500ml volume container contains 1.7 standard drinks, while a 37.5% gin product in a 700ml contains 21 standard drinks. A man consuming alcohol within the HSE low-risk guidelines can reach the weekly threshold for as little as €8.49 and women consuming alcohol can reach the weekly threshold for as little as €5.49, according to AAI. “At this level of affordability, for a tenner you can buy enough drink to cause a fatal alcohol overdose,” Dr Bobby Smyth, consultant child and adolescent psychiatrist and AAI board member said. The market review and price survey was carried out in two Dublin locations (south country and north inner city), one regional city (Sligo), and one rural town (Ballina) by AAI between 22 and 29 July. Email “'Fatal' level of alcohol can be bought in Ireland for €10”. Feedback on “'Fatal' level of alcohol can be bought in Ireland for €10”.